With minimal fuss, your Crock-Pot can slow-cook a pork roast that is fall-apart tender and yields maximum barbecue flavor. The key to creating tasty barbecue-flavored pulled pork begins with a spice rub that’s layered on during the preparation. Use store-bought barbecue sauce or, if time permits, create your own version. Go bold or go easy with the spices and make it your own. 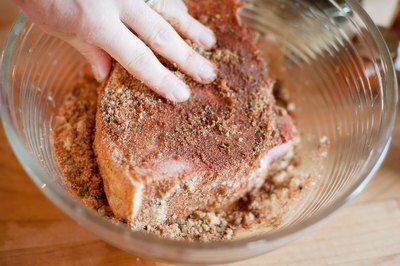 Use your favorite commercial spice rub on the pork roast, or make a spice rub from scratch combining seasonings in a bowl; use a combination of spices such as black pepper, salt, garlic powder, onion powder, smoked paprika and cayenne. 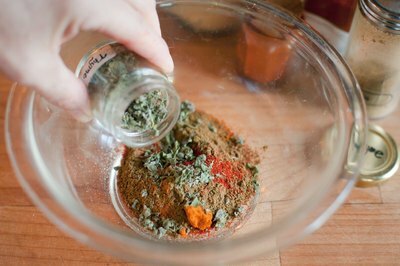 Add extra garlic powder and cumin, if you choose. Round out the flavor blend, if preferred, by adding approximately 1 teaspoon of brown sugar per pound of roast to the mix. Place the roast into a large bowl. Use clean hands and rub the roast with the spice blend, using approximately ½ teaspoon of seasoning per pound; use more or less as desired to suit your family’s taste. Allow the spices to penetrate into the crevices and deep into the meat. Cover the bowl with a secure lid or seal tightly with plastic wrap. Place the roast in the refrigerator for 24 hours. Remove the roast from the refrigerator and place it into the Crock-Pot. 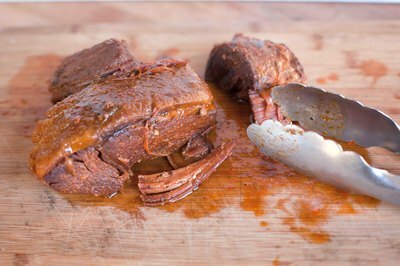 Pour approximately 1 cup of commercial barbecue sauce over the roast, or make your own by using the same spice blend you used for the rub added to ketchup, brown sugar and whiskey; add liquid smoke and molasses if desired. Go easy on the liquid smoke and molasses, as these flavors can quickly overtake the palette; adjust to suit your taste. Make enough sauce so you can use some at a later stage in preparation. Cover the Crock-Pot and cook on low for approximately 8 hours. Follow the manufacturer’s recommendations for slow-cooking temperatures and times. Cook the roast until it is tender and separates easily with a fork. 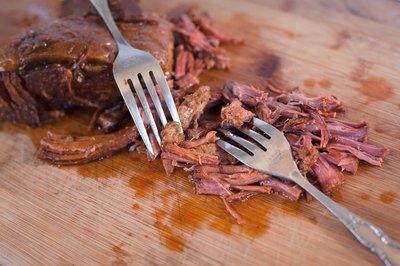 Transfer the roast, using large forks or large tongs, onto a cutting board. Separate the meat into thin strips by pulling the pork apart with two forks. 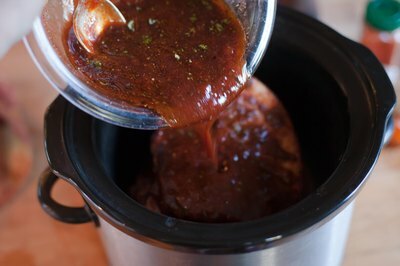 Heat the leftover barbecue sauce in a large pot and bring it to a boil. Add the pork pieces into the sauce. Serve on buns, topped with coleslaw, or serve over rice. 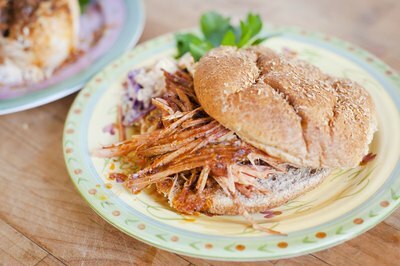 An easy step-by-step recipes with photos of how to make perfect and delicious pulled pork every time.